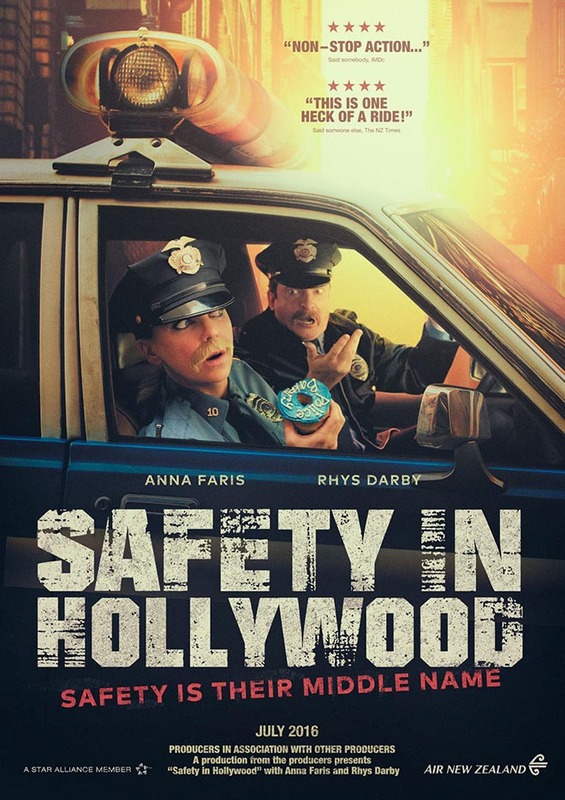 Air New Zealand’s latest in-flight safety video, Safety in Hollywood, stars Anna Faris (Christy Plunkett in Mom) and Rhys Darby (Murray Hewitt in Flight of the Conchords). The five-minute Air New Zealand Safety in Hollywood film is set in multiple iconic Hollywood film locations at Warner Brothers Studios, including those used in Jurassic Park, Casablanca, War of the Worlds and True Blood. Rhys presents Anna with a script featuring Anna, himself, two Air New Zealand flight attendants, and over 20 extras, including Chester the Chihuahua, who has appeared in Transformers and Grey’s Anatomy. They move from Police Academy, romance in Paris, horror in the woods, and a Western-style show down. The Air New Zealand Safety in Hollywood safety video was developed at True by executive creative director Craig Pethybridge, creative directors Dom Antelme and Ian Sweeney, copywriter Scott Moyes, agency producer Fiona Champtaloup, senior account manager Jess Standidge, working with Air New Zealand head of global brand development Jodi Williams, global brand engagement manager Susan Davidson, brand communications specialist Sarah Sangster. Filming was shot by director Steve Saussey via Jungle with director of photography Danny Ruhlmann, executive producers Yolanda Dewey and Nick Simkins, production designer Rene Vas, 2nd unit director Chris Clark, LA line producer Luann Barry, wardrobe stylist Nicola Clegg. Air New Zealand cabin operations were managed by Faatepa Misiluki and Shane Constable. Post production was done at Blockhead by motion graphics designers Joerg Fuchs and Kyle Stoffberg. Editing was by Stuart Morley and Philippe Lods. Photography by Fraser Clements was retouched by Dennis Monk. Sound and music were produced at Liquid Studios by sound designers Craig Matuschka and Brendon Morrow, composer Pete Van de Fluit, and producer Tamara O’Neill.